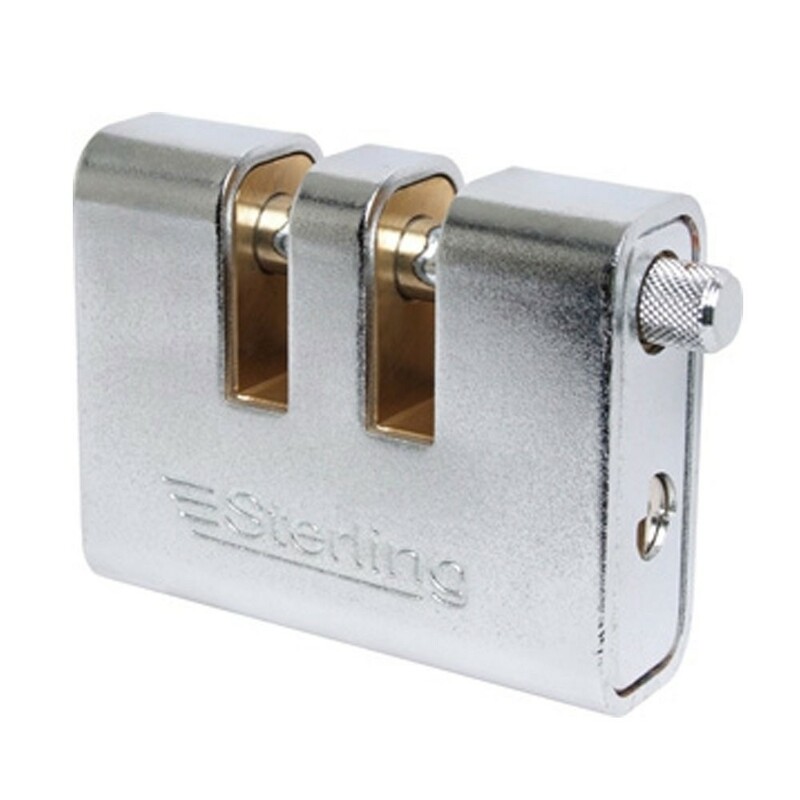 The Sterling Armoured steel padlock double slotted keyed differently has a solid brass body with tough steel armour and a hardened steel, chrome plated shackle. It has an anti-drill cylinder and rotating shackle for good attack resistance. It also has anti-pick mushroom pins and stainless steel springs. Supplied with 2 nickel plated brass keys and the shackle opens in the same side as the keys. Suitable for chains.